In this graduation season, we take a look back at some encouraging educational statistics for last year’s graduating class, the Read the full release. The ACT Aspire, a suite of standardized tests given statewide to students in grades 3-8 and 10, has been the Read the full release. Want to explore how your local public school system or school performed on the statewide benchmark test, the ACT Aspire? Read the full release. PARCA continues to explore the results of the state’s new standardized test, the Aspire, and is developing new ways of Read the full release. How does your school compare on the Aspire? Take a look at the 2014 ACT Aspire results for Heard Magnet Elementary school in Dothan. The following images show Read the full release. 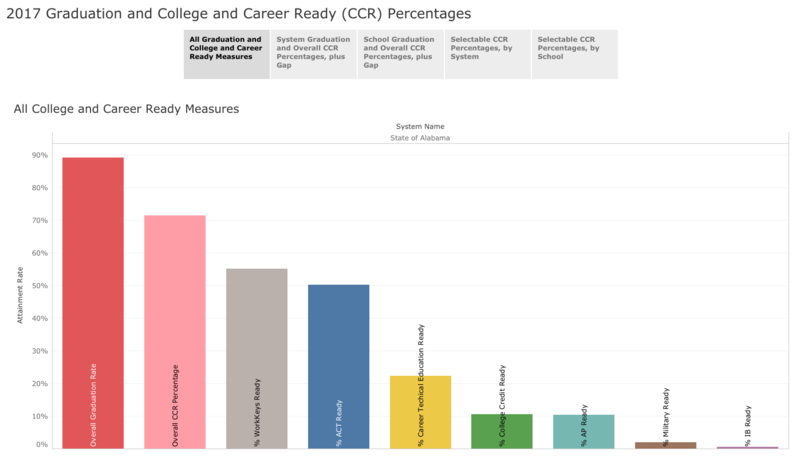 How does your school system compare with state averages? PARCA has been working on a new system for presenting information about Alabama’s public schools. In the next few posts, Read the full release. 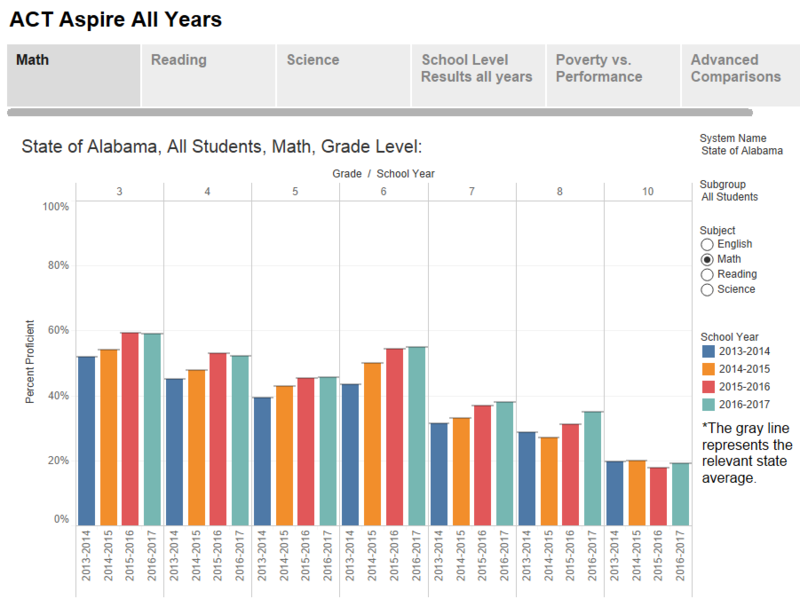 The Alabama Department of Education this week released statewide results of its Grades 3-8 assessment tests, broadly known as the ACT Read the full release.